The “New” Prostate Cancer InfoLink is here to help YOU! … So keep reading! A cancer diagnosis is a fearful thing. Most of us are numbed by just the idea of cancer. But while you are numbed, you are not dealing with reality. Hmmm. Let me spend a week or two thinking about what this means to me and my family. Then I can come to carefully considered, rational decisions. [Any number of possible expletives deleted]. Why me? Better still, whether you could get away without telling her at all! Well you must have got past that, which is GOOD because you got here, and we’re going to help! You need to put your fear behind you. You can do this by gaining knowledge. Your knowledge will give you the power to overcome this adversity. Finding cancer in the prostate of a man who is over 40 is quite normal. Finding cancer in the prostate of a man who is over 70 is very normal! Something like 95 percent or more of the men who get a diagnosis of prostate cancer today in developed countries are NOT going to die from it. They may die with it … but not from it. There’s a huge difference. Prostate cancer is not a death sentence for the vast majority of newly diagnosed patients in the developed world today! You have time to make good decisions. You almost certainly have time to get one or more “second opinions” about your treatment (or whether you even need treatment at all). If you act too fast, you may well make a decision you come to regret. You’ve got a lot of questions, but don’t for one minute think that you’ll be able to get answers to all of them tonight! Some of your questions may not even have good answers. We absolutely encourage you to try to do the learning WITH your wife/partner/significant other. Because (trust us) this is going to affect her (or perhaps him) just as much as it’s going to affect you. This is not something you will be able to keep secret, and you’re going to need some help from someone who knows you inside and out! Two sets of eyes and ears working together at this will help you to get the very best treatment and to get answers to all the questions you should be asking (including many you haven’t thought of yet!). The US-based National Comprehensive Cancer Center provides a free, online book (NCCN Guidelines for Patients | Prostate Cancer) that is updated on a regular basis. The book can be downloaded and printed as well. It is not perfect, but it provides a really excellent introduction to the management of prostate cancer for patients and family members. Here are some links to places on this web site to start your prostate cancer education. Use these pages to write down a list of questions for your doctor. When you talk with him or her, you don’t want to forget anything that you wanted to ask about. 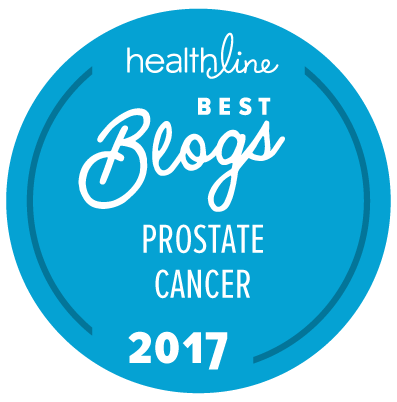 The article titled “Finding cancer in a man’s prostate is NORMAL!” will help you to understand that prostate cancer is actually a very common problem that is increasingly well understood. The article on the “Staging and grading of prostate cancer” will give you information about several of the things mentioned in your pathology report (which you need to get a copy of). The article on “Clinical staging of prostate cancer” will offer more detail about this topic. The article titled “Understanding Gleason grading” can help you take the first steps toward understanding your personal Gleason grades and Gleason score information. People may use abbreviations that you haven’t heard before. We have provided a list of the most common prostate cancer-related abbreviations for you to be able to look up and use. If you come across ones that aren’t listed, leave us a message. We can probably tell you what they stand for. because it will give you some idea of how difficult some decisions you will need to take may end up being. Basically a diagnosis of ASAP means that a tiny group of cells look like they might be cancerous when viewed under the microscope, but the pathologist just can’t be sure. First, look at the page titled “What cancer cannot do.” We know … “Real men don’t read poetry!” But we think you may WANT to read this. Third, if you haven’t done it already, tell your wife, partner, or “significant other” about this page on this site. This information will help them too! We PROMISE that none of the pages we have told you about on this web site is very long. You can get through them all in an hour (or less). Print them out if you need to. And then you will be in a much better position to talk to your doctor about what comes next. When you are ready, you can go to the home page or the site map or visit The “New” Prostate Cancer InfoLink Social Network. There’s a whole army of people out there to help you! WE REALLY ARE HERE TO HELP YOU! The idea behind the “NEWLY DIAGNOSED” button that appears on every page of this web site was “stolen” (with Terry Herbert’s gracious permission) from Terry’s YANA web site (“You Are Not Alone”). If you don’t like The “New” Prostate Cancer InfoLink site, try Terry’s — because you can use all the help you can get! The content on this page was last reviewed and updated on June 15, 2015.